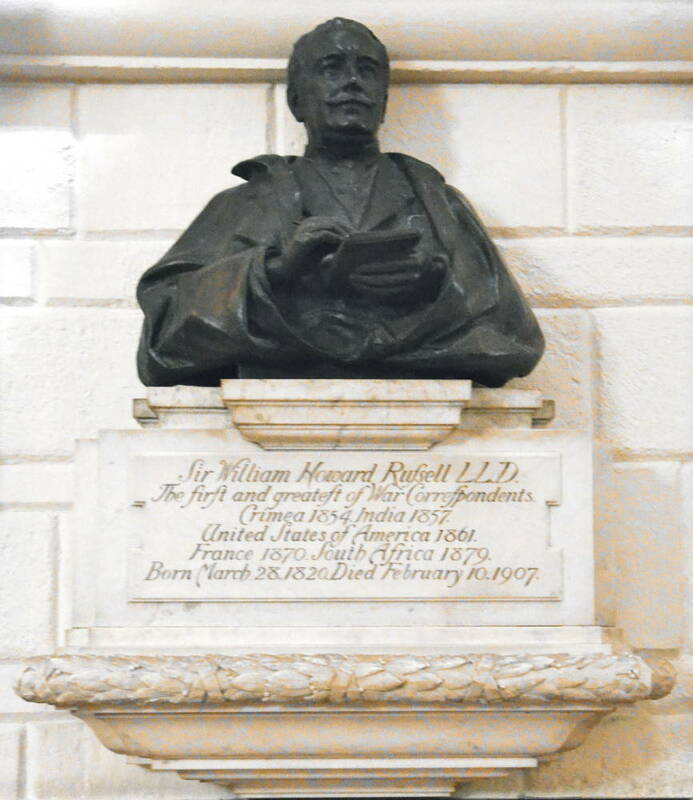 Sir William Howard Russell, LLD Memorial. 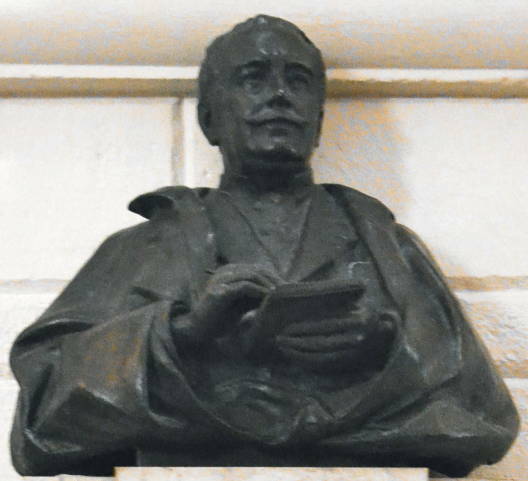 Sir Edgar Bertram Mackennal. 1909. Bronze and marble. St. Paul's Cathedral, the City of London. [Click on these images to enlarge them.] With thanks to the Dean and Chapter of St Paul’s Cathedral. Stearn, Roger T. "Russell, Sir William Howard (1820–1907)." Oxford Dictionary of National Biography. Online ed. Wed. 30 July 2014.